ACT: Steve Jobs moved to Mountain View in 1960 when he was 5 and no doubt made many visits in his formative years to San Francisco, the city of his birth. 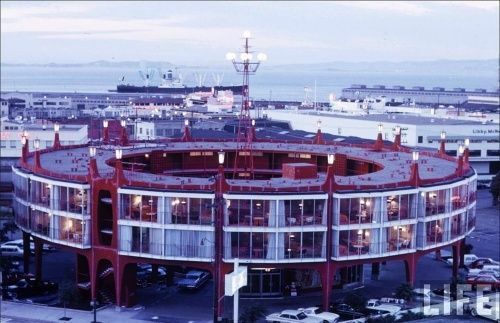 FACT: Young architect Norman Foster in 1962 found his way to San Francisco, where he worked briefly before returning to his native England. 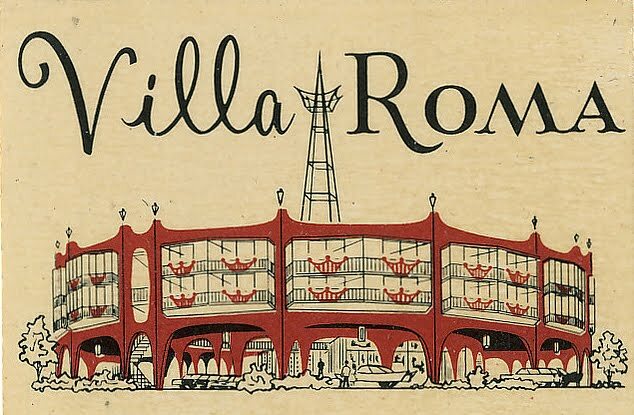 WILD SPECULATIVE LEAP: The model for their too-perfect-to-be-true Apple headquarters in Cupertino — a futuristic cross between a spaceship and a doughnut — is Fisherman Wharf’s long-gone Villa Roma motel. Now the block holds a forgettable Courtyard Marriott, while in Cupertino, Apple is grading 178 acres that will hold a thickly landscaped corporate campus. The centerpiece will be a four-story, 2.8-million-square-foot headquarters that forms a perfect circle large enough for 12,000 workers. It’s metal and glass, with a smooth custom sheen. All this is quite a step up from the old Villa Roma, which had a $1 million price tag. 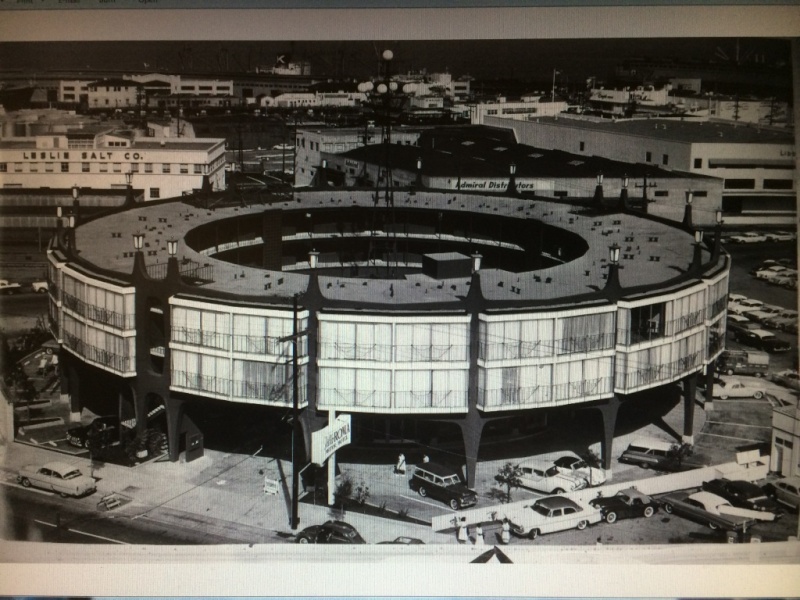 But the refined echo of mid-century tourist-themed Americana is palpable in its own crazy way. Do I think that either Foster or Jobs consciously set out to prove Caen wrong? No. 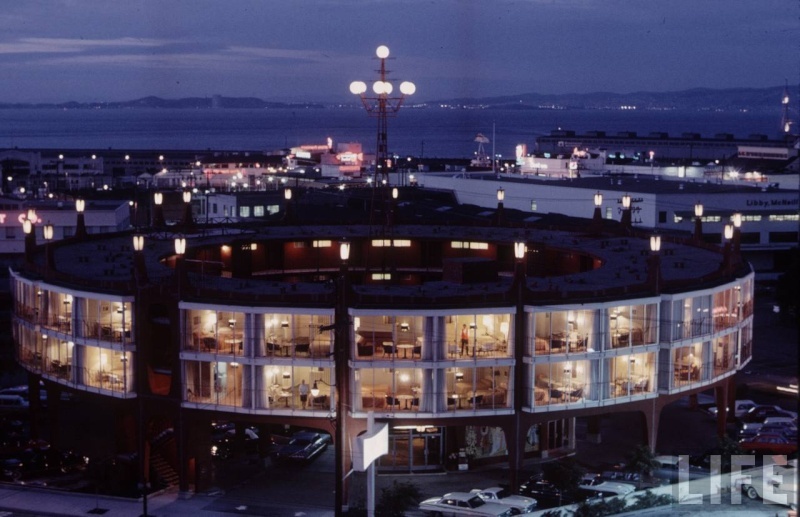 But I love the idea that the hula hoop hostelry at Fisherman’s Wharf was tucked into subconscious of these visionaries all these years — and when they joined to collaborate on the ultimate architectural iCon, Villa Roma was reborn.